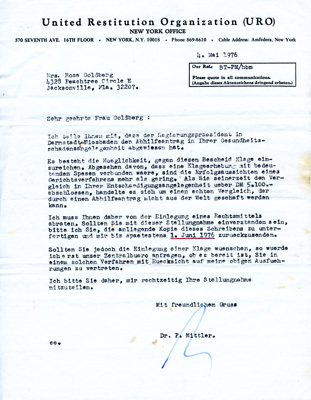 With this letter of May 4, 1976, Dr. P. Mittler of the United Restitution Organization (URO) informs Rose that the district president of Darmstadt-Wiesbaden has denied her application for redress for health damages. Although it is possible to appeal this decision, Dr. Mittler advises against doing so, because an appeal would involve considerable expense and would be unlikely to be successful. 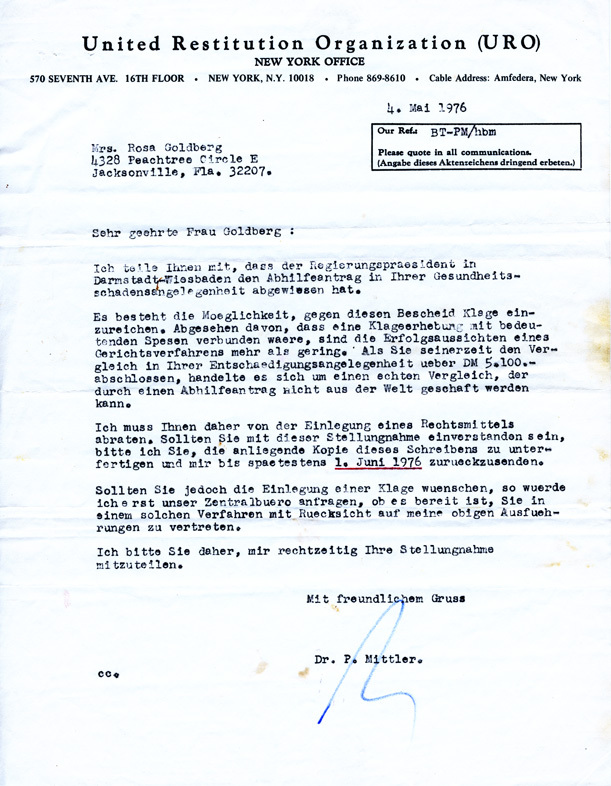 If Rosa agrees with Dr. Mittler's point of view, she is to sign the attached copy of the letter and return it by June 1, 1976. If she wants to appeal, the letter advises her to ask the URO Central Office whether it would be willing to represent her, given Dr. Mittler's assessment of the case.